Jeremy Corbyn says he supports any "strictly necessary force" needed to protect the UK in a terrorist attack. 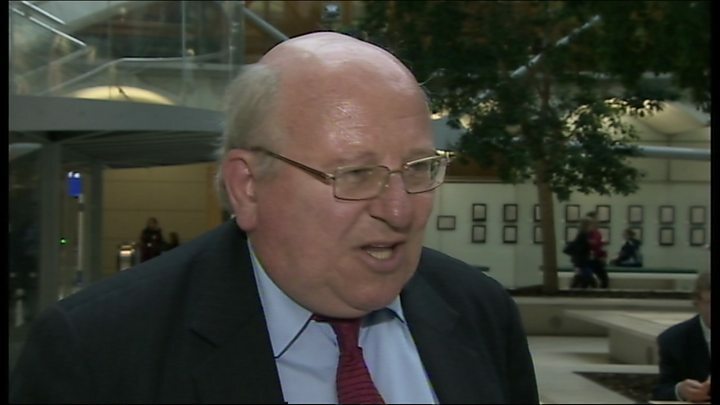 His comments, to the party's ruling executive committee, came after he told the BBC he was "not happy" with police operating a shoot-to-kill policy. This led to criticism of the Labour leader's stance from some of his MPs. Prime Minister David Cameron urged him to "review his remarks" saying police should "go right ahead" if they need to "take out a terrorist to save lives". 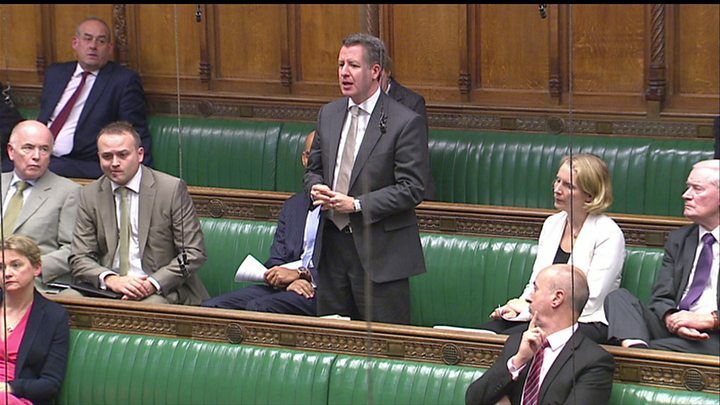 And speaking in the Commons a number of senior Labour MPs, including former shadow chancellor Chris Leslie and shadow Europe minister Pat McFadden, questioned his views about counter-terror tactics and the response to Islamist extremism. Mr Leslie said it should be "immediately obvious to everyone" that the police should be able to use lethal force to keep the public safe. Mr Corbyn told Labour's National Executive Committee "any kind of shoot-to-kill policy" posed "clear dangers to us all" and said terrorism should not be used to undermine freedom and legal protection. He added: "But of course I support the use of whatever proportionate and strictly necessary force is required to save life in response to attacks of the kind we saw in Paris." During a Commons statement on the Paris terror attacks which killed 129 people, Mr Cameron urged Mr Corbyn to reconsider his opposition to shoot-to-kill, while former shadow chancellor Chris Leslie said the need for such a power should be "immediately obvious". The row came after Mr Corbyn told the BBC on Monday that a "war on the streets" must be avoided and also that UK air strikes in Syria could make the situation there "far worse". He also declined to say if he would ever back military intervention against extremists. He added: "I'm not happy with a shoot-to-kill policy in general. I think that is quite dangerous and I think can often be counter-productive. I think you have to have security that prevents people firing off weapons where you can." BBC political correspondent Eleanor Garnier said one Labour MP "savaged" Mr Corbyn during the meeting of the Parliamentary Labour Party on Monday night, while others said he was "aggressively heckled". In the last few days Westminster's focus has naturally been on how the UK government responds to the attacks in Paris. But this most stark demonstration of the threat to national security is starting to cause quite serious problems for the - not so new any more - Labour leader Jeremy Corbyn. 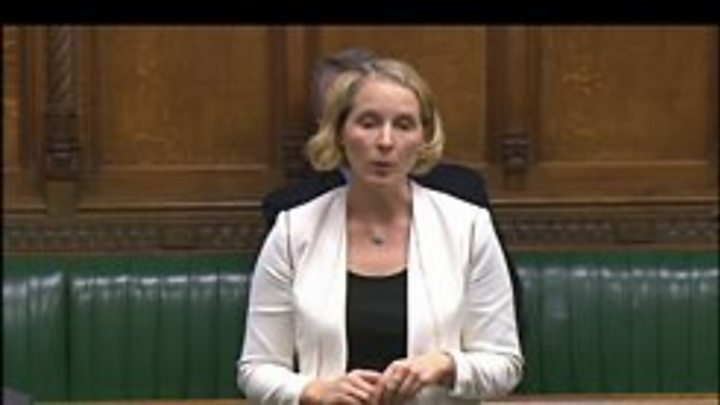 Many Labour MPs were shocked after he told me he would not be happy with the police or security forces shooting to kill on our streets, casting doubt over the legality of the strike on Jihadi John, and appearing to suggest that his MPs would not be allowed to vote with their conscience on any potential military action in Syria. Labour MP John Mann asked Mr Corbyn if he was saying "terrorists with Kalashnikovs should not be shot by security forces in such situations". Labour's Keith Vaz, chairman of the home affairs committee, said shoot-to-kill was "the right thing to do in those circumstances", adding that "we have given that power to those responsible to make that decision". 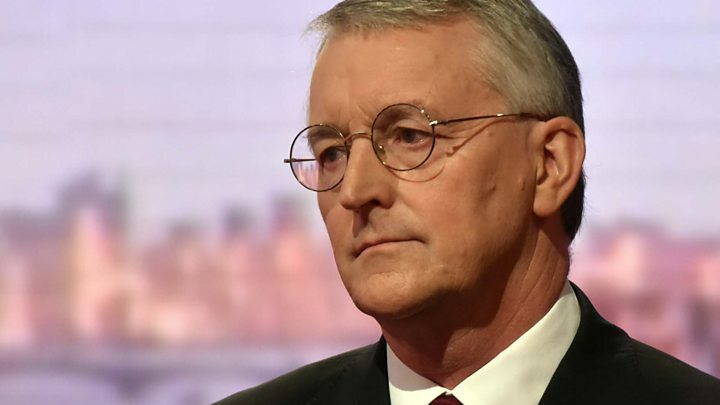 Speaking on BBC Radio 4's Today programme, shadow foreign secretary Hilary Benn said Labour's policy "remains the same". Officers faced "split second decisions" in such circumstances, he said, adding: "I can't speak for Jeremy in relation to the particular circumstances he may have been thinking about." The UK's police forces do not have a blanket "shoot-to-kill" policy - but at the same time, police can be legally justified in shooting even if the attacker ends up dead. It all comes down to the law on self-defence. The only person who is legally responsible for pulling the trigger is the police officer holding the gun. That officer must be able to justify under the law that their action amounted to reasonable force to protect themselves or others. That means no chief constable, let alone a minister, would be ever able to tell an armed officer how to respond to the specific scene before them. So if the officer could show the only way to stop a bomber was to shoot them in the head, then he or she would be legally entitled to do so. Mr Benn also criticised the Stop the War Coalition - until recently chaired by Mr Corbyn - for an article, since deleted, headlined "Paris reaps whirlwind of western support for extremist violence in Middle East". He said the language used was "shocking" and "wholly wrong" adding that whether or not the Labour leader should attend a Stop the War meeting in December was a "decision for Jeremy". During the Commons debate, a number of Labour MPs also criticised the views expressed by the coalition.